A saga of life in the Northern Territories and the clash of white and Aborigine cultures - one of Australia's all-time best-selling novels and an inspiration for Baz Luhrmann's lavish film `AUSTRALIA'. A saga of life in the Northern Territories and the clash of white and Aborigine cultures - one of Australia's all-time best-selling novels and an inspiration for Baz Luhrmann's lavish film `AUSTRALIA'. 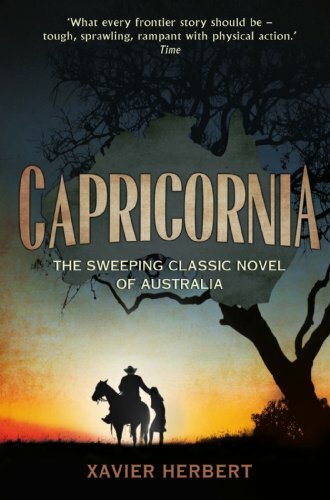 Capricornia has been described as one of Australia's 'great novels', a sharply observed chronicle about life in the Northern Territory of Australia and the inhumane treatment suffered by Aborigines at the hands of white men. The story is immense and rambling, laced with humour that is often as bitter and as harsh as the terrain in which it is set, and follows with irony the fortunes (and otherwise) of a range of Outback characters over a span of generations. Through their story is reflected the story of Australia, the clash of personalities and cultures that provide the substance on which today's society is founded. Above all, however, this is a novel of protest and of compassion - for the Aborigines and half-bloods of Australia's 'last frontier'. Sprawling, explosive, thronged with characters, plots and sub-plots, Capricornia is without doubt one of the best known and widely read Australian novels of the last 70 years. When it was first published it was acclaimed as 'a turning point', an 'outstanding work of social protest'. Its message is as penetrating today as it was in the 1930s when Herbert himself was official 'Protector of Aborigines' at Darwin.